Elsa loves to tell jokes and clown about, but no one seems to laugh much any more – not since her family lost their lovely house, and ended up stuck in a dingy bed and breakfast hotel. Even in the horrible and very un-royal Royal Hotel, Elsa keeps busy cracking jokes and getting the other guests chuckling. But as things go from bad to worse, even Elsa finds it hard to keep smiling – until disaster strikes and she gets the chance to be a real star at last… Funny and moving, warm and wise, Elsa’s story will touch your heart. I think Elsa is one of the cheeriest, kindest kids I’ve ever read about. She has a such tough time too. Her mom is sooo depressed since they moved into some gross bed & brreakfast dump and her stepdad is a bit of a scary nightmare. She tries cheering people up by telling these awfully corny jokes, but I LOVED THE JOKES! Unbelievable book! 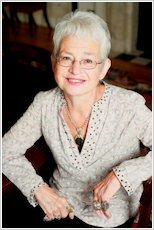 I would recommend it to eneybody who has a really good imagination.I liked the book because it is really like real life when u are reading it it is all described so well all Jacqueline Wilson’s books are about real life and that’s why her books are so good! I am still reading this book But so far it is fantastic !!!!! Its a very humerous read . Absolutely hilarious. It is a very heart warming read! a very good book, Elsa is a funny kid and VERY enegetic! Elsa loves joking around but nobody’s smiling anymore not until they lost their lovely house and came to live in a cringe Bed and Breakfast hotel. When a tragic event occurs it’s Elsa’s chance to be a real star….. I think Elsa’s jokes are really corny. But she is favourite character. Elsa lived with her mum in a flat. Then her mum got married to Mack. Elsa has a step sister called Pippa and a step brotheer called Hank. Mack got a good job so they bought a new house. Then Mack lost his job so they got kicked out of their house. So they went to a bed and breakfast hotel. When they got to the hotel and rang the bell no one answered. Elsa found a door that said manager on it and looked in. She saw the manager kissing a ladie and the ladie went as pink as her jumper (which was very pink) Elsa and Pippa made friends with a girl in the toilets. Elsa’s room number was 608. This book was great I loved Elsa and Pippa. 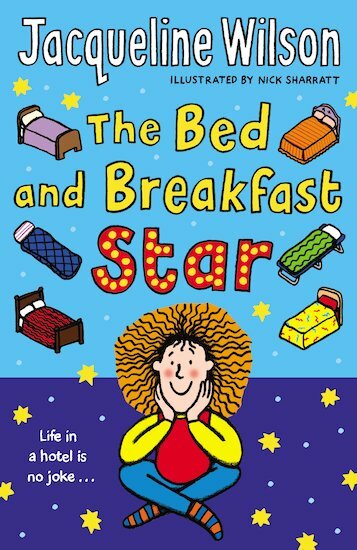 If was a very good book if you jacqueline Wilson it ws a bit boring at times but I would definitely recommend it. This book is really funny and addictive I really admire Jacqueline Wilson for this book for creating brilliant characters this book is really touching. A really funny book, packed full of Elsa’s jokes! this is one of the most tearful ad heart warming stories i have ever read! i 1000% rate this 5 stars and 1000000% recomend this!!!!!! i have not finished reading it but it is so good. so funny first jaquiline wilson book i read. Great characters + great plot = great book! it is a great story. living in a bed and breakfast hotel is a funny girl who cracks jokes and fights bullies. very cool. I have read the Bed and Breakfast Star twice. The second time i read it, it seemed even better! I read it in less then a day, non-stop. My Favourite Part; At the end when she is on TV. Score Out Of Ten; 9 1/2. I would recomend it to; Anyone of all ages. I like this book because its funnny, emotional and a tale about family trouble. Thanks for reading my review, i hope i encouraged you to buy the book. This book is heartbreaking, touching and even has a little humour in it. It has a lot of reality and I could not put the ook down! Read it! I absolutely love the author Jacquline Wilson she is my altime favourite. I started this book 3 days ago and haven’t been able to put it down.The story is about a girl called Elsa who is a funny and lively character, always telling jokes. One day her family lose their home because her step dad loses his job and end up having to go and stay in a bed and breakfast. I like the part where Elsa becomes a heroine saving people when there is a fire in the B&B because the alarms didn’t work. Great book, one that i’ll definately read again. I’d hate to live in a bed and breakfast hotel, it’ll smell. I feel sorry when Elsa loses her house and ends up living in a bed and breakfast hotel. 3 stars. This book is super!!!!!!! !So good ,in fact i read it in just 1 day!!!!! this book is so great that i have read it 5 times and every time i read it got better and better !!!!!!!!! this is a great book because it is funny and sad at the same time. I am enjoying it up till now!!!! !